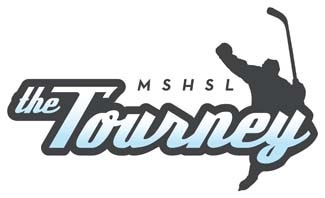 2016 marks the 72nd annual Minnesota State High School Hockey Tournament, one of the largest such events in the country. I was in St Paul on Wednesday, the first day of the tournament, so I ventured over to The X for some first round action. 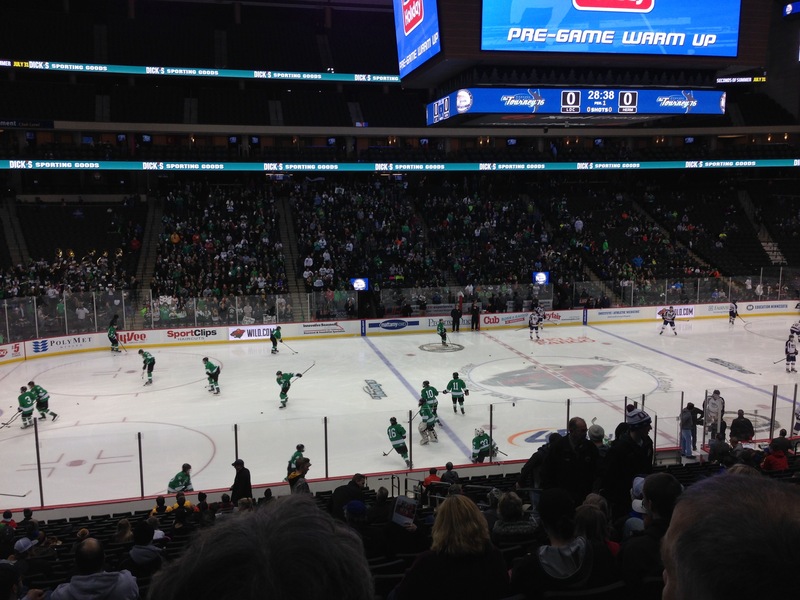 The Litchfield Dragons were taking on the Hermantown Hawks in the third game of the day. The Hawks had been state runners-up the previous six years in a row, and they played like they were on a mission. Cole Koepke would score 4 goals in an 11-3 romp. Kopek’s 4th goal was, to use the high school vernacular, sick. He took the puck at the top of the circles, skated in on the goal, a couple of stick handling moves put the goal tender on his rear end, then Koepke calmly put the puck into the back of the net. 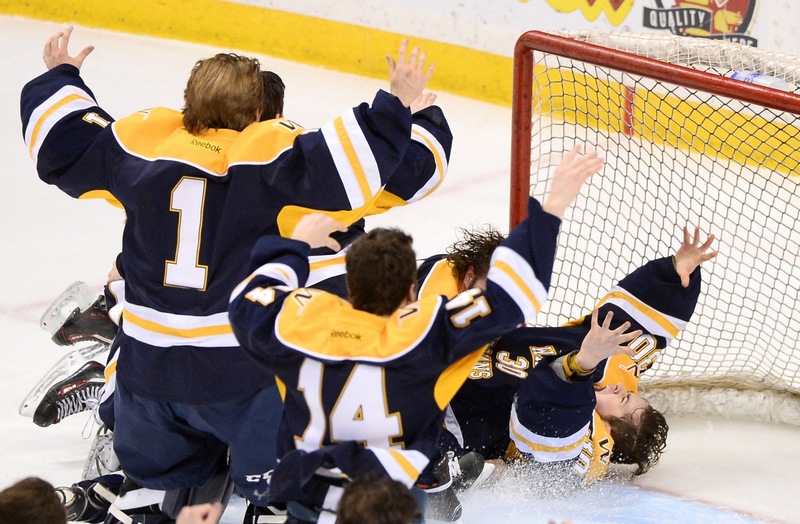 Hermantown would go on to win the Class A Championship with a 5-0 win over Breck, behind a strong performance by their goaltender Luke Olson. 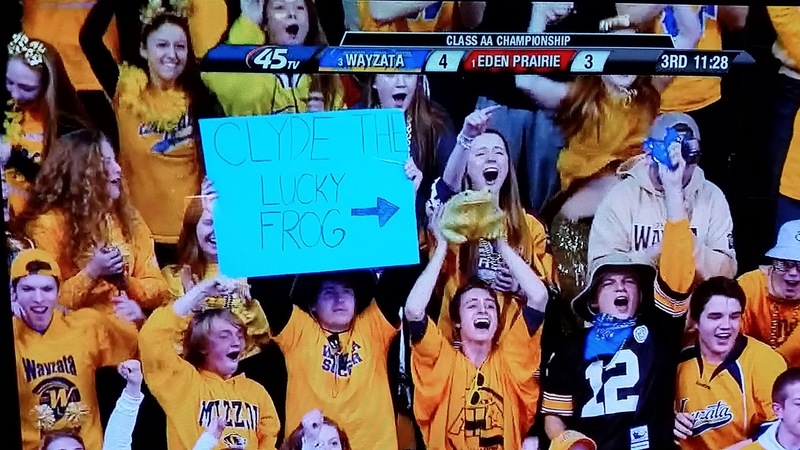 The Class AA Championship was between the Wayzata Trojans and the Eden Prairie Eagles on Saturday night. Eden Prairie was the obvious favorite, although Wayzata would take an early 1-0 lead behind some very physical play and sound defense. Eden Prairie would score the next three and led 3-1 midway through the second period. That is when things took a turn for the interesting. Wayzata was called for a 5 minute major penalty, their second of the night. Trojan coach Pat O’Leary called a time out. Coming out of the time out, Billy Duma scored a short handed goal. Then Wayzata drew a penalty, and the teams were skating 4 on 4 when Matt Nelson scored to tie it up at 3. Defenseman Logan Lindstrand scored from near the point in the third for what would be the game winning goal. The Trojans would add an empty netter with .8 seconds left for a 5-3 win, and the program’s first state title. Attendance for the Class AA session was 19,655. Over 22,000 attended Friday’s session for a new tourney single session record.